PHOENIX — On the Sunday after Veterans Day, you can honor those who’ve served our country and raise funds for the Veterans Transportation Assistance Program (V-TAP). 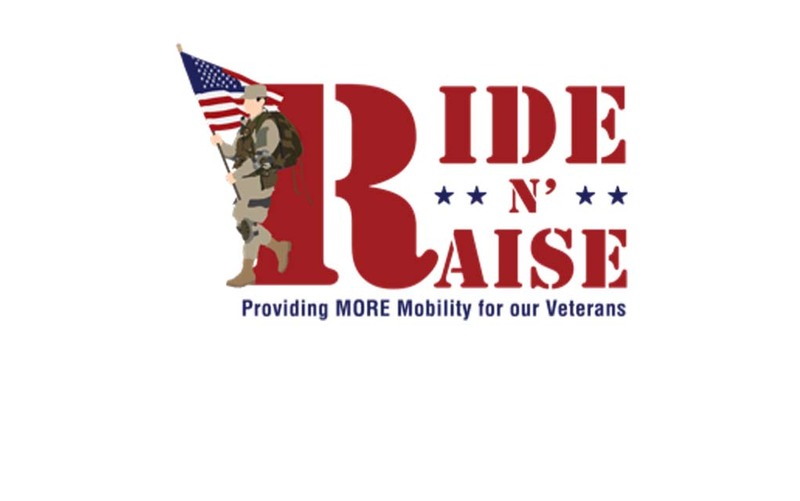 The 2nd Annual “Ride N’ Raise: Providing MORE Mobility for our Veterans” event will be held Sun., Nov.12, from 2 to 6 p.m. at Harley-Davidson of Scottsdale, 15656 N. Hayden Road, Scottsdale. Purchase of a $25 ticket grants admission to the fundraiser, which will feature live music, a complimentary meal and water, tea or lemonade. Silent auction items include suite tickets for a Phoenix Suns game, Club Reserve seats for the Arizona Diamondbacks, high-end resort packages and gift cards from major retailers. All proceeds will go to support the Veterans Transportation Assistance Program (V-TAP). V-TAP helps military veterans get to medical appointments with free transportation, including those who require special assistance (e.g., when a wheelchair or stretcher is needed, or a Veteran requires oxygen). V-TAP was launched in July 2015 by The MORE Foundation, a non-profit organization, and Quality Transport Services of Arizona (QTS). The program has provided more than 1,000 transports to Veterans and family members since 2015 and aims to expand to 800 rides in 2018. Purchase tickets for Ride N’ Raise online at www.ridenraise.org. Those interested in supporting V-TAP can also donate a ride for a veteran with a $50 donation online. Tickets will be available at the door, but purchase now to avoid waiting in line. Contact Victoria Icenogle at victoria.icenogle@more-foundation.org with questions about the event, including sponsorship opportunities. Military veterans may receive help with transportation to any physician or physical therapy or medical imaging office in the Phoenix metropolitan area through V-TAP. Veterans needing transportation to medical care should call QTS directly at (602) 371-1000 and ask about V-TAP. The MORE Foundation (MORE Foundation – Musculoskeletal Orthopedic Research and Education) is a 501(c) (3) non-profit organization. Our mission is to empower individuals to Keep Life in Motion® through innovative research, community education and charitable assistance. MORE conducts over 30 clinical and scientific research studies annually, and as a CME accredited entity hosts dozens of educational events for medical professionals in the community. MORE conducts over 30 clinical and scientific research studies annually, hosts dozens of educational events for medical professionals in the community.Our charitable programs currently serve the transportation needs of military veterans, with a new program launching to deliver free prosthetic hands to children.